Today marks the beginning of Baby Loss Awareness Week (9-15 October). Alongside more than 40 other organisations, Rainbow Trust Children’s Charity is calling for every parent whose baby has died to be offered an excellent standard of bereavement care. Pregnancy and baby loss affects thousands of families each year across the UK. Bereavement support is vital to offer to anyone who has lost a child or pregnancy. But currently, the standard of care bereaved parents receive is a lottery, depending on where they live, what stage of pregnancy or birth the loss occurs, and whether individual healthcare workers know what to do. The coalition of charities are calling for excellent NHS bereavement care to be mandatory across the UK so that no parent is left to cope with the death of their baby alone. All health and social care professionals to receive the highest standard of bereavement care training. At the same time, analysis shows that there has been a rise in the number of babies with palliative care needs over recent years. This is partly because of medical developments which mean that many more babies born prematurely and/ or with complex medical conditions, now survive birth. 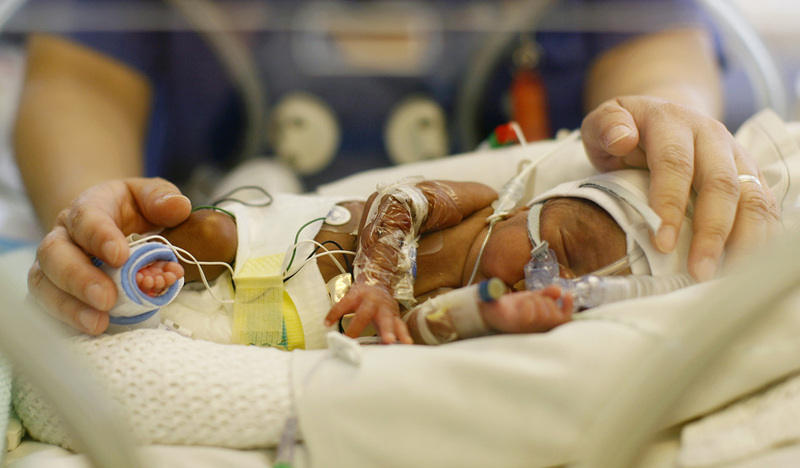 As a result, Rainbow Trust has offered tailored support to parents of babies in neonatal units since 2015, beginning with the creation of a dedicated Neonatal Support Worker at the Chelsea and Westminster Hospital. Rainbow Trust now provides neonatal support in each of the nine areas that it works in across England, and runs three neonatal support groups. The Week will see a range of activities to promote awareness of baby loss and what parents most need, culminating in a global Wave of Light at 7pm on 15 October when candles will be lit across the world to remember all those babies who have died too soon. Landmark buildings will be lit up pink and blue, the colours of Baby Loss Awareness Week. Visit www.Babyloss-awareness.org to find out more.